Bandcamp recently tweeted the top 10 most common band names on Bandcamp. Unlike the snarky story to which I linked, I found the list to be illuminating. Now, I could go on about the mistake of naming your band something that’s already in use, but I think the important thing is to recognize that any band that does this are by definition amateur, unsigned and independent. So these bands should be a truly representative cross-section of the lower echelons of the indie music scene. A whopping 59 bands on Bandcamp share this name, which actually makes perfect sense. 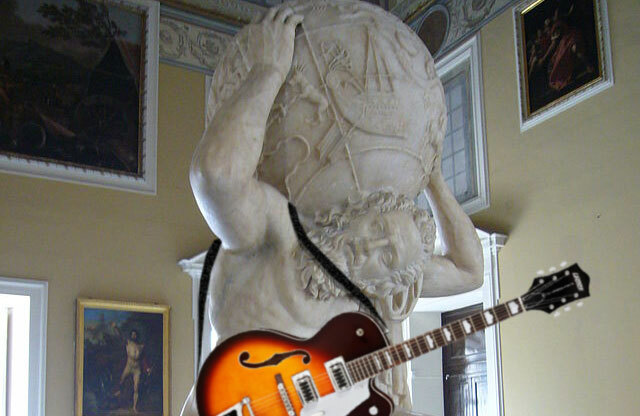 Atlas has a double meaning that resonates with musicians. The Atlas of Greek mythology famously held up the celestial spheres, although the more popular bastardized modern version is that he holds all the burdens of the Earth on his shoulders. Sound familiar, musicians? It sure does to me. Many musicians feel this way — like they have the weight of the world on their shoulders, and the only way to get respite is to make music that expresses this feeling. Musicians are highly emotional people who feel the world’s worries in ways “normal” people simply ignore. Since we have no choice but to feel the weight of the world, we have no choice but to play music. The other meaning of atlas is the Rand McNally type — the world map. What musician doesn’t want to tour the world… particularly the naive independent musician just starting out on Bandcamp? Built into the band name Atlast is not just the idea of touring, but the idea that your music can serve as a map itself — a map of emotions internal and external, that helps listeners navigate the vast expanse of human experience. Because of all these things, Atlas just sounds “huge”, and pretty much every band starting out wants to be huge. Another nod to Greek mythology, Apollo also has the benefit of being associated with space exploration and the cosmos. Like Atlas, this double-meaning is important because it creates a mystique (albeit ham-fisted), so the band and the music can mean many things to many people. Even amateur musicians intuit this as the basis of great music. The myth-loving fan and the space-loving fan will interpret the name different ways, and both will be correct. Apollo was the god of music, so it’s not hard to imagine many of these bands just took their Greek mythology lesson in high school and said, “Cool, let’s name our band that.” Sometimes — oftentimes, even — a band name is chosen more for sounding cool than for its meaning. The Apollo space program saw humankind explore space and land on the moon, so in terms of modern mysticism and mythology, a musician would be hard-pressed to find a better representation. And, of course, we have the Apollo 13 mission, what might be considered the apex of human experience — surviving an accident in space that should have been a death sentence, only to return to Earth heroes. This directly parallels the indie musician’s dream of suffering the slings and arrows of obscurity to do the impossible and come out the other side a rock star. Perhaps I’m reading too much into this, but Apollo is both an ancient myth and a modern one. Music is quite the same — an ancient art, yet wholly modern. 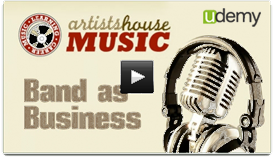 Most indie musicians’ core dream is to gain widespread exposure among loving fans. They may dream of overnight success (a myth), but deep down they know audience growth is tied to their growth as musicians. “Bloom” makes perfect sense in this context — it embodies the dreams nearly every musician has for their music and their audience to bloom. Blooming is also a visual spectacle, something that demands attention, and nothing could be closer to how bands feel starting out. With so many other flowers in the garden, you’ve got to be the tallest and brightest to attract the bees and pollenate beyond your stalk. Songs also “bloom” in the head. We rarely like a song on first listen, but second listen, then third, and all of the suddent the song is taking over our brains. This one is fairly self-explanitory. Musicians are one of society’s last remaining nomadic cultures, moving their “families” from city to city in search of sustinance. It would be interesting to see how many Nomads are on tour right now. Continuing with the idea that this list is a cross-section of amateur musicians, my guess would be the name is more idealism than realism. But hey, you gotta start somehwere. The double-meaning here is that musicians are often nomads in their own lifes, jumping between social circles. Or perhaps they are emotionally nomadic, exploring different personas and vibes with an opennes most people lack. All of these names are popular because they can mean so many different, yet equally prescient and precious things to musicians. To be a musician is to live within a paradox. You see the world for what it is and have a knack for expressing that in a way that connects more intimately with others than almost anything else on the planet. And yet, you feel incredibly detached from the “normal” reality that so many others seem to find themselves in. You fit in by not fitting in. Musicians are highly exalted socially — even indie musicians just starting out quickly learn the intoxicating effects of audience praise. Even small-time musicians get to walk into their local venues as one of the coolest people in the room. And yet despite this social exaltation, financial remuneration is almost non-existent. We can save a life with a song but we can’t afford health insurance. Paradox is also a great title to put on a band because the listener can simply insert their own paradox. Because a paradox is by definition illogical, it makes the perfect subject matter for the language of illogic, music. Like the best band names, it means many things to many people. I’ll leave you with one last paradox: These musicians are dedicating their lives to acts of pure originality and creativity, and yet they have chosen band names that already exist and can be googled in two seconds.